You could be drowning in a foot of water, my dear! It’s time to stop drowning, and start sipping on your life. They feel STUCK, and don’t know what to do about it. I find that there’s often an addiction to an old pattern of belief. Or he/she are addicted to an old relationship. Perhaps it’s the OLD relationship you have with yourself. When they’re (YOU ARE) ready to break these addictions…and BECOME, they begin to ADD to their lives by SUBTRACTING anything (or anyone) that’s no longer working. By getting their H.E.L.P. with TRUTH. Are you ready to get your HOPE’S up, so you can focus on your hope, energy, love, and purpose? Are you ready to ask and receive? Reach out to someone who can come into agreement with you, and to help you see the hope, energy, love, and purpose that’s within you. 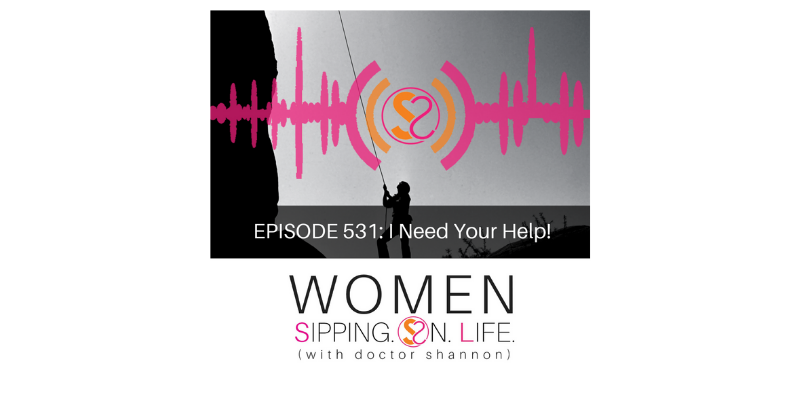 If that’s me, please reach out to me at: drshannon@doctorshannon.com or our Women Sipping On Life S.O.L. MOVEMENT FB Group.